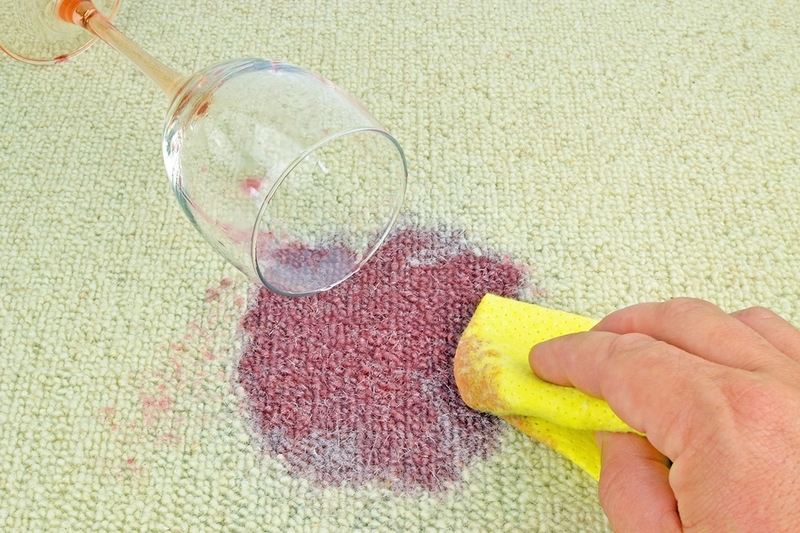 Removing stains from your carpet can be stressful. However, fret not – the trick is finding the right approach. In addition, it is best to get the spill cleaned out as soon as possible before the stain sets in. Besides removing carpet stains, you can check out additional home carpet cleaning tips on this site. There are plenty of carpets cleaning solutions that are commercially available. Most of them would word well removing any kind of stains from rugs. But in addition to these carpet stains cleaning solutions, there are everyday house items that can prove to be quite effective in getting rid of stains from your rug too including the following. This is another common item that you can use in removing stains from carpet, specifically in dealing with ink stains. Just mix a little milk and cornstarch to make a paste. You can then apply the solution to the affected spot. Let the paste dry. After a few hours, you can simply brush the dried residue from the rug or use a vacuum for the same purpose. If someone accidentally spilled coffee on your rug, there is no reason to panic. You can use baby wipes to clean coffee stains. The advantage of using baby wipes is that it serves two purposes. First, it absorbs the spilled liquid. Second, it cleans off the stain. Once you have absorbed most of the coffee stain with baby wipes, clean the spot with carpet detergent or a stain remover (like vinegar and ammonia mentioned below) to remove the remaining stains. Baby wipes also work in ridding off tea stains. White carpet and red wide is probably the worst combo. In fact, it is a nightmare for most owners. But there is always hope. If you find yourself in the same situation, simply pour salt over the red wine. The salt will help dilute the color. Continue to clean the spot by using cold water and sponge. Pour another pinch of salt then use a vacuum after 10 minutes. 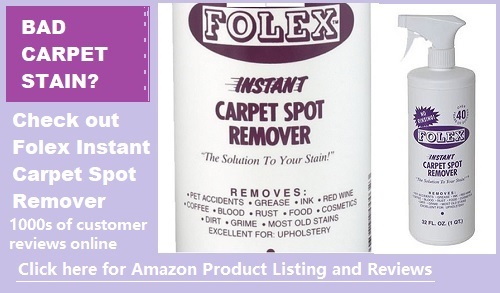 This is one common item that is probably the most flexible and effective solution in removing stains from carpet. For best results, mix half a cup of white vinegar with 2 tablespoons of salt. Mix it well to dissolve the salt. Rub the solution onto the spot. Allow it to dry and vacuum it later. A cup of clear ammonia combined with 2 liters of warm water can go a long way. You can lift the stains from the carpet using this solution. Once applied, let it completely dry. In case the stain has not been removed entirely after the first application, you can repeat the process until your rug is stain free. For the more stubborn stains, borax is the best solution. What you need to do first is to wet the area where the stain is. After that, you can pour over some borax. 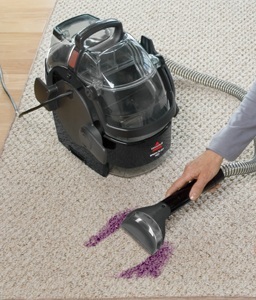 Make sure the area is dry before you use a vacuum to clean the mess. Another trick is to mix soapy water and vinegar with borax. Apply the solution and allow it to dry. You can repeat the same process until the carpet is completely cleaned up from stains. If you are uncomfortable using the above suggestions, you can always count on a commercial grade carpet cleaning stains formula. You can buy these solutions from the home center or the grocery store. However, you must be careful in your choice of formula. There are some that may cause the color on your carpet to fade. Before you use any kind of solution then, it is recommended that you test the color fastness of the carpet. A rug that has excellent colorfastness will resist fading, bleeding and changing no matter how many times you get stains from the carpet or how frequently the rug is cleaned. If you have pets around the house, getting rid of dog stains may be one area of interest for you. When it comes to pet stains, it is not only important that you remove the stain using an effective cleaning solution. You must also go the extra mile of preventing another incident of dog stain on your carpet. In which case, it is advised that you apply enzymatic cleaner. This can be obtained from the pet supply store. It will discourage your pet from soiling on the rug so you do not have to keep removing stains from carpet. In addition to these tips, cleaning carpet stains can be a cinch with the right equipment. Carpet cleaning machines are designed to effectively brush off embedded stain particles in a solution of water and detergent that is then extracted out. 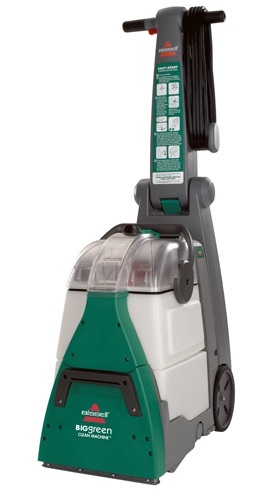 They are available in various sizes, from small portable spot cleaners to upright carpet cleaners with greater power. You can check out the Carpet Cleaning Machines Reviews homepage to learn more.